Research report - Is Bitcoin the future rivalry to the New Zealand currency? - Part 1steemCreated with Sketch. Is Bitcoin the future rivalry to the New Zealand currency and should the government control the decentralised currency system? As soon I was informed about Bitcoin I started doing my research and was highly interested in the brand new crypto currency technology and all the possibilities and opportunities that came with the creation of bitcoin. I personally see it as the start of something huge like the invention of the internet, in the very early adoption stages people used to say that it would never catch on, look at us now. This is revolutionary and has the ability to change the worlds old ways in relation to the unstable fiat currency that is depreciating in value everyday due to inflation. I want to find out if this is just a faze the economy is going through or if this can really be used alongside paper money if not replace it in the long future. We are currently still in the very early stages of adoption but more and more people are becoming aware of bitcoin with even certain governments starting to get involved. 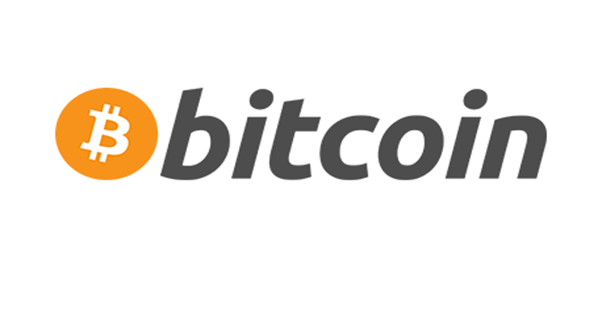 Bitcoin is a form of digital currency created and held electronically. Bitcoins aren’t printed, like todays fiat currency – they’re produced by people, and increasingly businesses, running very powerful computers all around the world using software that solves mathematical problems with the input of electricity and the output of bitcoin. This currency is totally decentralised and runs on block chain technology making this the final steppingstone for the next evolution of the world’s monetary system. Having completed thorough examination of the literature, in this section of the research proposal I am going to illustrate the proposed research design. The overarching research question is: Is Bitcoin the future rivalry to the New Zealand currency and should the government control the decentralised currency system? Identify the Strengths, weaknesses, opportunities, and threats for bitcoin in the relation to the New Zealand economy. Identify the current bitcoin adoption stage in New Zealand and at what stage of bitcoins evolution does it become a real threat to the New Zealand currency as a competitor. Identify why/if/how the New Zealand government should keep Bitcoin under their control and how can these systems be managed correctly? Due to the specific research question all my research aims are able to be achieved using the same method and approach. Bitcoin is the first decentralised so-called Crypto-currency that has devised for anonymous peer to peer payments made entirely independent of governments and banks. The lack of connection to central authorities means it cannot be artificially manipulated, when central banks can release or restrict the supply of money in order to ease economic cycles. Bitcoin consists of a finite supply of 21 million bitcoins meaning it appreciates instead of depreciating; this alone gives it great value as due to the coins becoming more valuable overtime instead of experiencing inflation like the fiat currencies we use today. This is a worldwide currency, a currency that is known and accepted worldwide instead of today’s currencies only working in the country it is bound to. Bitcoins aren’t printed, like todays fiat currencies – they’re produced by people, and increasingly businesses, running very powerful computers (nodes) all around the world using software that solves mathematical problems with the input of electricity and the output of bitcoin, this is also called ‘mining’. Created in 2008 by an unknown person/group that goes by the name of ‘Satoshi Nakamoto’ chosen to remain anonymous since the release of the official whitepapers. The transactions are recorded on Blockchain technology which is an ongoing digital chain that timestamps all transactions on a proof-of-work basis forming a permanent record that cannot be changed or monitored. The block chain first mentioned by Nakamoto is a complex system that can be identified simply as a database that records and contains all the transactions ever executed in the Bitcoin Network. It consists of a permanent, distributed, digital ledger, resistant to tampering and collectively supported by all the nodes (mining rigs) on the system. Bitcoin has the potential to be a significant player in the micropayment and virtual world commerce markets. The history of currencies like the Iraqi Swiss Dinar that had no backing by commodities or government entities indicates that Bitcoin has the ability to succeed as they have similar aspects to them. Deciding whether Bitcoin can be considered as a currency is a highly controversial topic amongst governments and users as for centuries societies have considered currencies to be the Dollar assigned to their nation. Currencies can be identified by economists as having three attributes: it functions as a medium of exchange, a unit of account, and a store value. Because the number of merchants accepting Bitcoin as a form of payment is increasing alongside the adoption rate – especially online markets means that it has the first attribute of being considered a currency functioning as a medium of exchange. David Argues Bitcoin to act as a unit of account as well as a store value which are both required attributes to a currency. From the Reserve Bank of New Zealand’s perspective, crypto-currencies such as Bitcoin are not considered as a currency. The Reserve Bank of New Zealand considers crypto-currencies to be a type of payments system. In order for Bitcoin to be a currency the RBNZ states it requires to be; a reliable means of exchange, a unit of account, and a store value just as listed above. Real Currency: If a person sells goods and receives $100 in return, then they can be confident that the Reserve Bank is doing its utmost to maintain the quality of our currency as a medium of exchange. The Reserve Bank ultimately has the backing of the government, with its ability to legislate and enforce rights and responsibilities. Crypto-Currency: If a person sells goods and receives 100 crypto-currency units, the seller of the goods must rely on the crypto-currency system to ensure that they get their full 100 units’ worth of value. If they don’t receive that value then they don’t have the powers of the state behind them. At best, they can try their own enforcement actions backed by their own individual power and resources. Real Currency: If a person saves or deposits $100 in order to store value, the saver can be confident that value really is being stored because the government backing the currency creates and enforces banking and financial regulations and laws against fraud, robbery and counterfeiting, and will work to ensure the long-term stability of the currency’s value. In New Zealand, the Reserve Bank has a legislated responsibility for price stability (i.e. low inflation). For secure long-term value, you also want the currency’s backer to continue in existence for many decades or generations – which sovereign nations that issue currency typically do. Crypto-Currency: A person may save or deposit 100 crypto-currency units in order to store value, but an issuer of a crypto-currency or creator of ‘digital wallets’ used to store cyrpto-currency need not promise to maintain the stability of the crypto-currency’s value. Issuers of crypto-currency and creators of ‘digital wallets’ may not exist in perpetuity, and don’t have the legislative and enforcement powers that are unique to governments, so the continued existence of a crypto-currency as an asset to store value is much less assured. Blockchain and Bitcoin technology has the ability to create many opportunities that replace traditional means of exchange between peers. It has the ability to help solve traditional banking problems by being a peer-to-peer system instead of peer to bank to peer. Business are able to see the value of using cryptocurrencies for international transactions with low fees, quick transactions which completely solves emergency transactions that have to be made quickly to the other side of the world which would traditionally take a couple of days and set you back a considerable fee. The U.S. Senate Committee on Security and Governmental Affairs, and government regulators testified that currencies like bitcoin have the potential to play useful roles in the commercial payment system. The Reserve bank of NZ governor Graeme Wheeler claims “conceptually, the idea is very interesting - that you can have a means of payment that basically is universally accepted and basically means that you get aside capital controls, you get aside exchange rate issues.” The reserve bank of New Zealand is one of the highest influencers on the way currency works in NZ so for the governor to be so open minded about the concept and having the ability to look at the vast opportunities have globally states that this could potentially be the start of something great. Ross Pennington states that bitcoin does have the ability to solve some real problems around the world that consist around the economy, anti-money laundering, helping less developing countries access banking systems, exchange controls. The future is difficult to predict but technological advancements tend to be put to good use looking back at history – at least until replaced with an improved alternative, Bitcoin can be considered to be a technological advancement. William states that the long-run odds are not in favour of bitcoin but does think this is this is the next step to the evolution of electronic transactions. If block chain technology reduces the costs of processing transactions it will be adopted, whether this will be in the form of bitcoin or not is something the future will only be able to tell. Because Bitcoin is fully decentralized, semi-anonymous and is almost impossible to shut down, it has the potential to cause a huge barrier between the government and organisations that are taking advantage of Bitcoin. Whether the organizations that adopt Bitcoin are morally commendable or detestable – for operations to be funded without the risk of monetary seizure or sanctions on financial contributions (e.g. GST) brings up a huge future threat for governments as they may lose control over their countries economy. The rise in Bitcoin has the potential to separate the relationship the central banks of New Zealand had with their customers’ Along with their customers’ payment data – banks will no longer have the ability to record the data of their customers as soon as it leaves the banking system as transferred into a third part payment system like Bitcoin. The New Zealand banks profitability could be affected negatively due to the banks not having full control and access to data, which allows them to anticipate their customers need resulting in the ability cross-sell and developing new products. New Zealand banks charge rates ranging from $18-$30 per cross border transactions. Bitcoin has the ability to send payments cross border for a fraction of the fee that banks charge – this gives consumers even more reason to avoid banking systems which results into having a negative impact to banks profitability. Very few merchants are accepting bitcoin at this stage. It has very high volatility rates making it very unstable and more of a risky investment. Bitcoins daily exchange rates contain almost no correlation with widely used currencies and gold, this makes bitcoin useless for risk management and highly difficult its owner to hedge. Weaknesses include the fact that it cannot be easily modified at all as there is no owner or bitcoin office. The block chain allows the public to see every transaction with semi-anonymity which is nerve wrecking to potential adopters. Bitcoin deals with daily online attacks and hacking attempts, theft and is known to be used in exchange for criminal services and goods. At this stage bitcoin looks like a speculative investment rather than a currency. Bitcoin and the idea behind it is new and unexplored territory to the entire history of the world – early adopters and investors should be aware of the huge amounts of risks of getting involved with such young technology. The most import factor is the fact that Bitcoin operates in such a legally grey area as the laws for other payment mediation do not currently apply to bitcoin. It becomes a scary place for bitcoin users as this is an area that has very weak consumers’ protection as the government isn’t there to act as a safety net for users anymore for why it may be difficult for Bitcoin to become generally accepted as a viable means of payment. People in the world already earn, trade and spend the money assigned to them by nation that are fully controlled by governments, this mind-set is how the world works to the majority of people which is normal. Consumers are slowly starting to be introduced to a completely new concept considered to be an improved alternative which requires them to completely change their mind-set and to how the world economy works with a complex decentralised digital currency. The world now has a functioning decentralised cryptocurrency Bitcoin – the problem now is getting consumers to make the crucial switch from fiat currencies into cryptocurrencies such as bitcoin, which understandably is a huge step for absolutely anyone as societies only know money as one thing, the money we use today. Bitcoins design allows for irreversible transactions, a prescribed path of money creation over time, a public transaction history which works on the block chain technology. Low entry fees as anyone has the ability to create a bitcoin account free of charge and without the requirement of using a real name. Overall this monetary system is understood to be much more flexible, private and less amenable to regulatory oversights than other forms of payments. These benefits of face significant limits that do effect the public from adopting this tomorrow. Today’s bitcoin followers are made out of investors and people fed up with the way the banks and government control their money which is depreciating daily, these people are hoping that it gains mass adoption resulting in the price rising and the possibility of it disrupting existing payment systems and perhaps even monetary systems. It is also a great alternative currency for gold enthusiasts and investors that prefer holding currencies fully backed by commodities. Bitcoin is currently being adopted and will continue to be, the question is; to what extent will Bitcoin be adopted to – there are many reasons why it will be adopted as well as many reasons to why it will not be adopted. Ross Pennington, a leading capital markets, banking and structured finance lawyer thoughts on bitcoin are that it as a currency is not envisioned to be a common payment practice in the future. The technology is very hard to understand and get your head around and is able to be criticised, bitcoin is extremely vulnerable to hacking, it’s a way of avoiding taxes, bitcoin is a bubble etc. Ross states that bitcoin isn’t too much different the fiat currency issued by the central banks but has many more components to it than the coins and notes in circulation. Bitcoin prices of consumer goods require many decimal places with leading zeros which is impractical and not what the average human is used to, this is a problem as humans do not like change, this may result in higher younger tech savvy generation bitcoin adoption rates than the older generations. A survey performed by PwC resulted in 83% of those surveyed were unaware of what bitcoin is. This means that competition with very powerful marketing tools are able to persuade the people that are unaware of bitcoin to join their new cryptocurrency. Bitcoin hasn’t built too big of a name for itself in order to have its brand on lockdown of market share. Lack of trust and security of peoples funds is a huge threat to bitcoin taking off as people do not want to put their money into something that they could lose the authentication for and it to be not accessible ever again. The New Zealand bitcoin market is rapidly growing based on volumes of XBT/NZD currency trades and number of users. Although adoption and growth rates are rising there are still very few New Zealand organisations actually accepting bitcoin as a payment instead of the New Zealand dollar which makes it less appealing to your average consumer. This could conclude that bitcoin is being seen as more of an investment than a currency. This claim can be backed up by the fact that the bitcoin price is highly volatile when news is released that there are risks of hacking, software errors, thefts, or fraud. Bitcoins daily exchange rates contain almost no correlation with widely used currencies and gold, this makes bitcoin useless for risk management and highly difficult its owner to hedge. New Zealand consumers are very good at adopting new payment technologies; the World Bank reported that 83 percent of New Zealand adults were using electronic payment methods. Making NZ the fourth most intensive user out of 164 countries. A global survey executed in 2014 by RFintelligence placed New Zealand as the number one global pioneering payment market. This claim is based on; a low-value payment preference index (preference for using electronic payments), contactless openness index (willingness to use contactless forms of electronic payments), and a pace of change index (receptivity to changes in electronic payments, current digital payment behaviours and preferences). The Reserve Bank of New Zealand claims that this disruption of banking services is mainly being pushed by ‘millennials’ (the generation born 1981-2000). A three-year survey exploring 10,000 millennials in the USA found that millennials have low loyalty towards banks and have the expectation that technology companies could service their banking needs better. Almost half of the participants were counting on the change to the traditional banking models to come from technology start-ups. 73% of participants would be more excited about a new financial product offering from Paypal, Apple, Amazon, or Google than from their bank. Data gathered from statistics New Zealand (2013) represents an increasing trend of internet banking usage in New Zealand. In 2009, 1.74 million New Zealanders accessed internet banking, in 2013 this figure increased to 2.5 million with a significant increase spread along all age groups, seeing a 55% increase in the 65-74 age group. An investigation conducted by KPMG and Juniper Research estimated the number of global mobile banking users was at 0.8 billion in 2014 and is expected to rise by 12.5% to 1.8 billion in 2019. The above three paragraphs really illustrates that the worlds societies are moving into a digital direction (quickly), it illustrates the fact that technologies have the ability to be adopted very quickly when the ball starts to roll. Nearly all governments manage their money supply in the form of central banking. However, bitcoin represents a potential third currency regime far more resistant to government control due to its operating under encryption, it’s not mounted to a physical place as it has no owner. Unlike governments that use the law in order to compel action, bitcoin relies on a system of built-in incentives to encourage the behaviours to bitcoin users and miners. Bitcoin is seen as the next point of innovation in the digital age, the same era that has seen Uber, Facebook and Amazon take off into forever success. Bitcoin is restricted in over 40 countries including New Zealand, the website of the Reserve Bank of New Zealand states the following: “The Reserve Bank of New Zealand Act prohibits the issuance of bank notes and coins by any party other than the Reserve Bank. However, the Reserve Bank has no direct power over any form of alternative payments medium. The Reserve bank of New Zealand is fully aware of cryptocurrencies and the potential risks and opportunities of Bitcoin and will continue to investigate possible regulatory changes in response to cryptocurrencies. The RBNZ has specified that they do not want to prevent innovation and supports fair open access to current payment systems encouraging competition between participants and innovation. They have indicated that they will not adopt an overly presciptive approach regarding future payments meaning that the RBNZ is open to new ideas into making the New Zealand economy and current payment systems better instead of pusing some sort of monopoly over the NZ financial system by totally denying innovations such as bitcoins with countless regulations and restrictions. Central banks are responsible for maintaining stability and security within financial systems, which implies their obligation to monitor the evolution of bitcoin. Currently the Bitcoin market value may give the perception into being of huge scale but is of very small proportions when compared to the circulating notes and coins of fiat currencies. For example, the bank of England estimated that the value of Bitcoin within the UK economy was less than 0.1% of sterling coins and notes and only 0.003% of broad money balances as at April 2016 (Market cap 8 Billion), therefore unlikely to make noticeable dents to any financial system. The potential impacts of Bitcoin aswell as other cryptocurrencies are not being taken lightly by the bank for international settlements (BIS), which is cooperatively owned by the world’s leading central banks noted that Bitcoin could disrupt the ability of central banks to exert control over the economy, as well as issue money. This concern was made with the assumption that widespread adoption had been achieved. This hypothetical challenge is of major concern to central banks as cryptocurrencies such as bitcoin have the potential to reduce the functions of a central body and in extreme cases, functions may remove the need for a central body entirely. Central banks are responding to digital currencies with solutions, Canada and Ecuador being the first nations to explore the idea of issuing digital versions of their fiat currencies. The bank of Canada Senior Deputy governor Carolyn Wilkins states that “If we don’t start now to find new approaches to handle these and other alternative futures, we won’t be prepared for whatever comes our way”. The outbreak of digital currencies has faced banks with a real competitor, motivating banks into being more strategically positioned, ultimately aiming to be one-step ahead in the economy instead of chasing the new industries in order to not let the power slip out of their hands. New Zealand Banks are determined into becoming increasingly ‘digital’ as a significant part of their growth strategy. Examples of this strategy include mobile banking strategies, remodelling branches and building partnerships with potential disruptors. Banks are still facing significant issues into implementing their main digital strategies due to the current state of their dated banking systems. The New Zealand banking systems are dated, variant, and complex resulted from many years of uncoordinated developments and minor platform changes. The uncoordinated platforms and systems create a serious issue regarding to staying competitive as banks have never really been faced with a serious threat like Bitcoin. Now that cryptocurrencies are booming and banks are forced to competitively respond urgently. New Zealand Banks can now either continue to rely on their current banking systems or choose to upgrade their core banking systems (highly costly and time consuming) to achieve superior functionality and future flexibility. Another strategic option that the banks could consider is to implement middleware that allows API’s (applications) to be built on top of their current systems, this option would provide the banks with the option of not being pressured into having to urgently upgrade current systems. • Identify the Strengths, weaknesses, opportunities, and threats for bitcoin in the relation to the New Zealand economy. • Identify the current bitcoin adoption stage in New Zealand and at what stage of bitcoins evolution does it become a real threat to the New Zealand currency as a competitor. • Identify why/if/how the New Zealand government should keep Bitcoin under their control and how can these systems be managed correctly? The philosophical approach taken for this research is positivism, this is takes the view that the world is external and objective to the researcher. My focus on my objectives revolve around presenting description and explanations. I knew before even starting to explore Bitcoin in relation to the New Zealand government that this was an unexplored subject as Bitcoin was only introduced in 2008 meaning that an inductive (bottom up) approach was more relevant as I was going into this research without the security and safety-net of solid historical research. An inductive approach has allowed me to start off with my research question and work my way up from there in more of an exploratory approach. I started with a specific level of focus (bitcoin being introduced into the New Zealand economy) and made this focus my base in the form of my research question; I worked my way up by gathering data in the forms of Secondary and primary data. The data was collected, recorded, examined, analysed and discussed (in order) this allowed me to find patterns which resulted in finding clarity and explanations. Based on the analysis and discussion of the data I was able to come to a conclusion related to the original research question. The overall methodology for investigating my research was qualitative; the reason for not using quantitative research was because the findings would have been less relevant as opposed to using quantitative research. The research question was most likely to be effectively answered through gaining an in depth understanding of expert knowledge, opinions and thoughts on the topic. All the data that was gathered throughout the scope of my research project was collected in the form of both secondary and primary research, a range of research methods were adopted in order to collect data efficiently and effectively. • Public information published on government websites – RBNZ, Treasury, and Law society. • Reserve bank of New Zealand provided me with Bulletin articles, published speeches, and a pdf email between a reporter and a government official in relation to my research question. Participants were found through contacting the most relevant organisations on my topic following the inductive inquiry strategy. I would introduce myself and inform them about the research project that I was conducting and would request their knowledge and contacts. Having the objective of finding an expert in the Bitcoin field that had the potential to represent as an interviewee participant. Originally, contact was made via email with the Treasury, The Reserve Bank of New Zealand (RBNZ), and the Chamber of Commerce in the hopes finding relevant participants. The Chamber of Commerce did not respond to the email. The Treasury responded and stated that they had no one suitable to talk to me about this topic and suggested the Ministry of Business, Innovation and Employment. I sent them an email but they never responded either. The RBNZ responded with a very useful reply – they didn’t have an expect for me to talk to but they provided me with five links to relevant bitcoin material published by them on their website to help me to further progress. I had two people knowledgeable on this topic at this point that were happy to be interviewed by me over skype once my research proposal was accepted. I was still looking to find more experts at this point that were involved with the government which would provide me with a better insight to the on the governments perspective which would allow me to achieve all my set objectives. Contact was made with a treasury employee via email as this person works for the treasury as well as NMIT and thought they may have some inside contacts. She responded and stated that she wasn’t allowed the names of public servants that would be able to discuss Bitcoin with me. She stated that these people that are working around the Bitcoin field are hampered by regulation. Until the government official whitepapers are released about Bitcoin as no public official would be allowed to speak about either the government’s position or what aspects of Bitcoin are being researched. Annette suggested I approached BERL, NZIER, MOTU, I contacted all three of these economic research departments but none of them responded. A set of interview questions were created with 14 questions that cover the scope of the research. These questions are going to ideally stay the same but may slightly be altered accordingly to adjust to the person that is being interviewed and the expertise that they have. The questions remained the same for both participants, the reason for answering the same questions and aiming for small amounts of variation between the two participants allowed the responses to the questions to be comparable providing me with a true middle ground and resulting in accurate data. Interviewee #1: Finding out that no public officials would be able to speak about the topic, having heard the news that one my interviewee participants declined to participate any longer and considering the fact that my research scope was ending. I had requested for a Tutor at NMIT that was knowledgeable and involved with the blockchain and Bitcoin to act as an interviewee. The Tutor accepted and an interview was held at NMIT recorded on my cell phone to secure all the data. Interviewee #2: The second interview was held with the research assistant of the research paper mentioned earlier. The interview was organised using email and was conducted on the phone as the participant was having issues with skype. The phone call was recorded on my laptop to compensate the use of my cell phone. Recording and keeping the data safe will allow me to come back to it and analyse it more thoroughly in order to subtract as much data as possible. After the interview were conducted the data was processed immediately, noting the things that stuck out, the time and date, the highlights and any other important observations. This was done right after the interviews as the interaction was still fresh mind, this helps to achieve accuracy. The data was collected, analysed, and reduced, qualitative studies like this generally collect a mass amount of data with only some of it being meaningful. The data was analysed with the aim of identifying any meaningful patterns or themes that were bought to my attention, this may include similar answers between different interviewees. Data was assembled, organised and compressed alongside the secondary data, this can be simplified by taking a step back and interpreting to what all the data means and really thinking about it. The last step of the methodology was to determine how the findings reflected onto the overall research question and allows implications to be drawn from the findings. The method of collecting data used fits extremely well with the set research question, due to the strong connection between the research method and the research aims the research was able to be conducted reasonably efficiently which is required as this research had a limited scope. My link to management theory is financial management which refers to the efficient and effective management of money in order to accomplish the objectives of the organization - or in this case the New Zealand economy. • It was assumed that the interviewee participants will be honest and bias free with their responses to the questions given to them. • It was assumed that the secondary data gathered through the literature review is reliable and free from bias. • It was assumed that government employees are allowed to talk about this information openly with outsiders. If it were to be highly confidential information, this would turn into a limitation and my research approach was changed accordingly to work around the barrier. • Many of the organisations contacted did not respond which is a clear limitation to access of potential data (both primary and secondary). • The Primary researcher of the research paper ‘Growth of Bitcoin market in New Zealand with Red flag of fraud?’ declined to represent as an interviewee quite late along in my research scope as he claims he had not kept up with Bitcoin after his research. • Due to not having the ability to interview the most relevant people that are working with/for the New Zealand government and gaining inside information I was limited to gaining primary data from people considered to be on the outside (in terms of government). These circumstances really had an impact on my research as this resulted my primary data to be more speculative and less accurate because outside information is made up on personal bias, ideas, and opinions without having the ability to see the full picture, what is really going inside the government. • I personally am invested in Bitcoin as I believe this technology is the future meaning I (the researcher) have a bias view of Bitcoin which may have an impact on the accuracy of my findings. • The majority of people that are aware of Bitcoin and really have knowledge on the topic are most likely invested in the technology and currency themselves. This includes the interviewees, which may have resulted in some bias opinions within the primary data. • Having to communicate with potential interviewees resulted into being inefficient and a very timely process of exchanging information. • Ideally, the interviews conducted would be held face-to-face interviews but due to the one of the two participants located far away one interview was conducted over the phone. • Because Bitcoin is such a new thing, the amount of relevant reliable secondary data out there was limited. Therefore, my secondary data will consists of academic peer reviewed articles when they were able to located but due to the low supply of these, I had to rely on using the next best thing which included government websites and other reasonably reliable sources. • No allocated funding had been put towards this research, limiting the size of the project and the depth of details able to be achieved. • The more experts able to be interviewed the more relevant, accurate and reliable the primary data was to be. It was aimed to have between 2-4 Interviewee participants to enhance but limitations and obstacles resulted into conducting two interviewees which results in my primary data not being as accurate and reliable as aimed for. The scope of my research limited the potential to find quality, highly relevant interviewee participants as a lot of time was used to pursuit and secure government officials while being unaware that these people were not able to discuss this topic. This resulted my emails being continuously rejected and ignored until coming realising the issue reasonably far into my scope. Currently anyone that is knowledgeable about bitcoin is most likely interested in the technology and pro Bitcoin. Having a biased mind set during research has the potential to interfere with my findings and the quality of my data – potentially resulting my findings into being ‘pro-bitcoin’. To limit bias information influence on my research I have personally invested in another cryptocurrency to reduce attachment of Bitcoins price and success for the scope of my research. Bias opinions in primary data have been reduced by previously discussing with the interviewees to answer the questions with an unbiased view. This research report cannot be completely bias free but can only be minimised considering the scope of my research is limited. To ensure everyone effected by this research remains safe and free of any possible harm ethical considerations are to be set. Precautions have been undertaken throughout the whole research project to protect all aspects of the project. Prior to the gathering of primary research, the research had to be approved by the NMIT’s research and ethics committee (REA), this was done by sending a research ethics application to them – The REA was content with my ethical considerations and approved my research. This ensures that the research plan complies with the relevant rules and makes sure that the research plan will not cause any unnecessary harm. The interviewee participants were asked to sign a concent form constructed and put together by myself – this ensures me that the participants are fully aware of their position and rights. The participants were informed that they will be kept anonymous and that they are given the right to withdraw at any point in time and the information is kept confidential. For this reason I will refer to the participants as ‘interviewee 1’ and ‘interviewee 2’, the anonymity is backed up by the fact that no obvious details about the participant are to be included in the research report to ensure that the interviewee isn’t able to be singled out with any specific details. Although anonymity is going to be pushed, because there are so few experts in this field it is stated on their consent form that they will more than likely be identifiable. All the data gathered throughout my research report was kept on my laptop which has a password and is only accessible by myself.